I have been very busy the past few days making sure that the preparations for the coming Hari Raya which is just a few days away, are all in order. However, I did not waste any time to prepare more goodies for my guests. Yesterday afternoon, I managed to make the biscuits in the picture above and these, do not require baking. Again, good news for those who don't like baking but not so good news for those who dislike cooking or eating fried foods. Rose biscuits are one of my many favourites (it is normal for someone who loves to eat like me to have many favourites!). 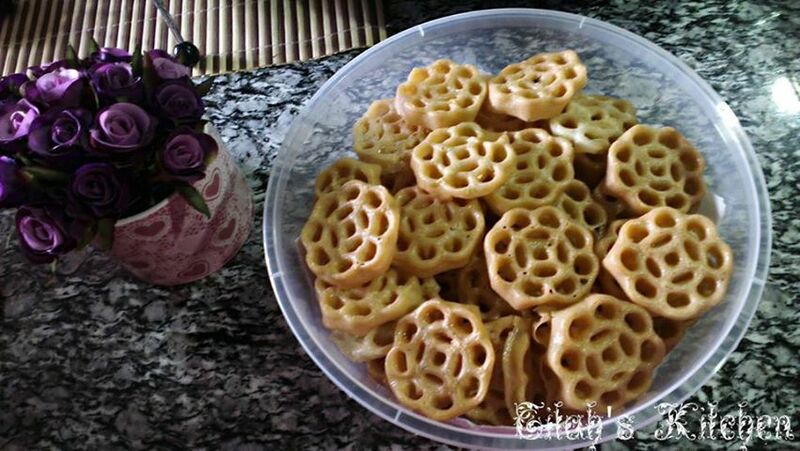 It is a traditional goody and is also an all time favourite for most, Hari Raya or not. I am sure you will enjoy it too if you try out this recipe. Anyway, I am not going to waste a lot of time talking as there are still lots to be done in my kitchen. I am going to go straight into sharing the recipe which I got from www.hairul.com as my mother do not have the recipe for this. I must say that it is quite a success for my first try. This time however, I did not make any changes to the measurements in the recipe. I got about three and a half of the container in my picture above. Of course, I gave the one and half container to my mother to spare her the hassle of having to prepare goodies. I didn't bother to count the pieces this time. 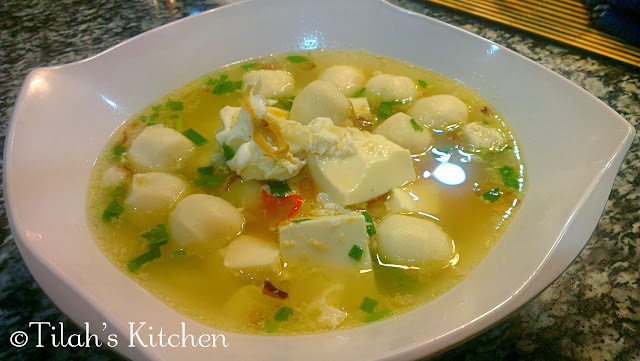 Mix all ingredients above except for the rice flour. 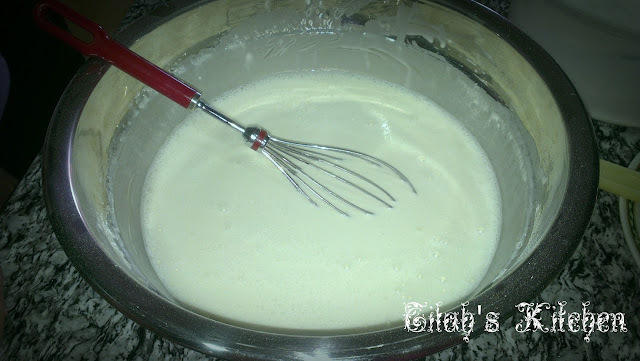 Once they are thoroughly mixed, add in the flour and mix them again. 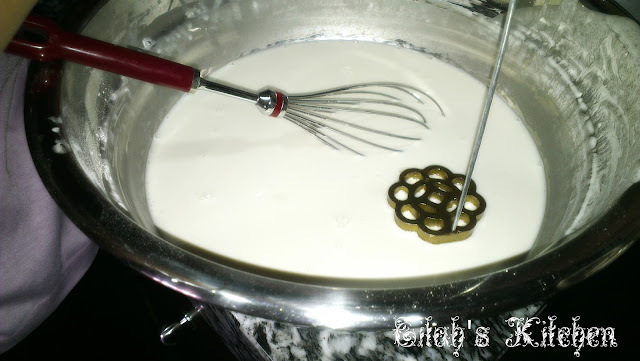 Then sift the mixture to make sure there are no lumps or curds in the mix. Next, heat up your pan over medium fire and fill it up with oil high enough to cover your mould but without the mould touching the base of your pan. 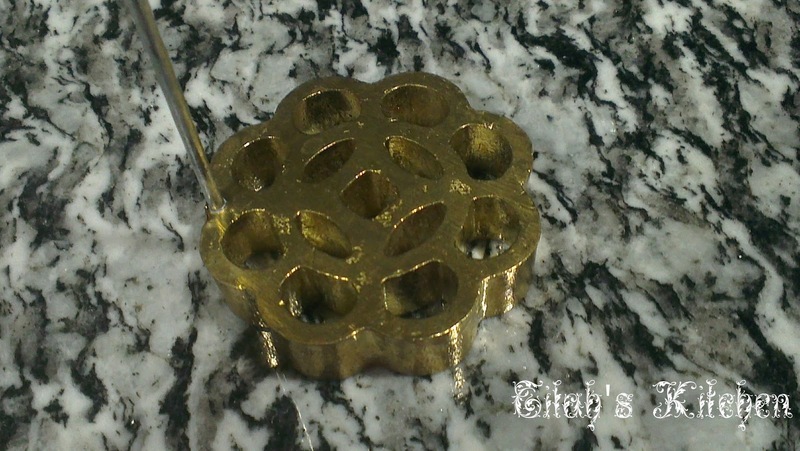 Dip the mould in the pan so that as the oil gets heated up, it will heat up the mould as well. Now dip the mould back into the pan but do not let it touch the base of the pan. 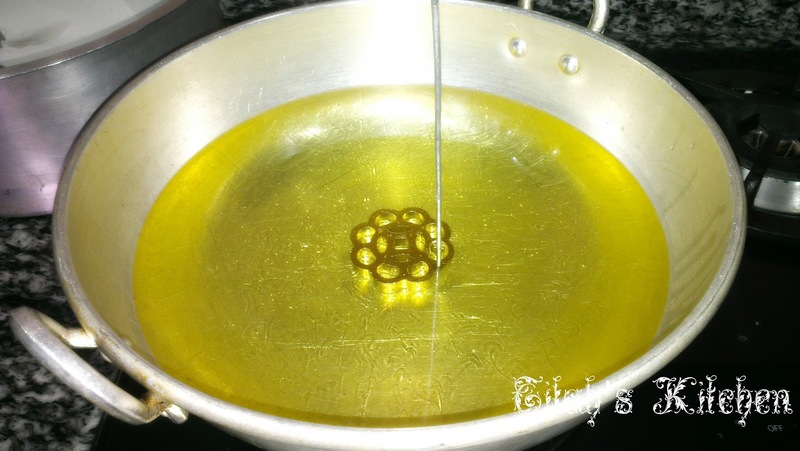 Hold it such that the mould is under the oil and let it fry for a few seconds. Then shake the mould up and down (not sideways please) until the fried mixture detached itself from the mould like in the picture above. 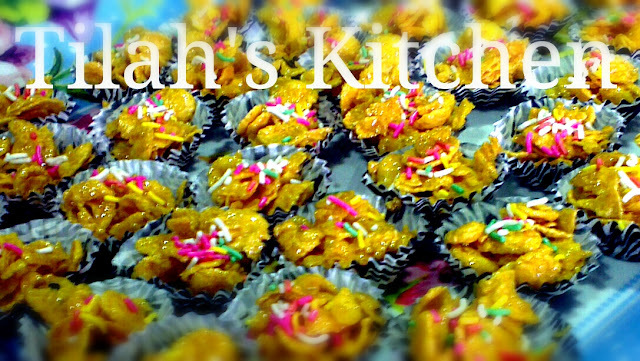 This is how the name Shaking Biscuits aka Kuih Goyang (in Malay) is derived at. Fry it until it turns golden in colour and remove from pan. Repeat this process until your mixture is finished. Remember, don't get disheartened if you face this problem. Just think like the way I did ("the problem is with the mould and not with the mix or me"). 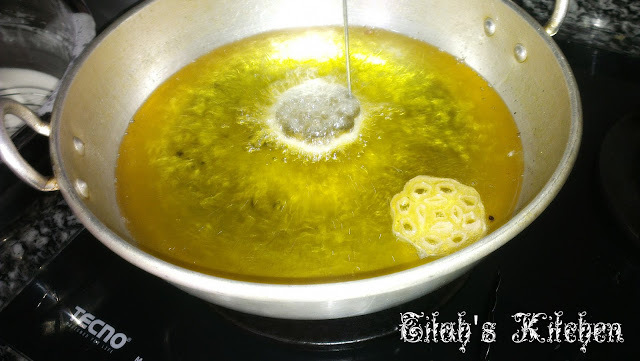 You might want to fry one biscuit at a time first until you get the full hang of it. For the first few tries, some of my biscuits perished along the way and some came out retarded or handicapped...haha... ;p but hey that's what trying is all about. Nevertheless, I did quite well as you can see from my picture at the top. So ladies, who amongst you is up for it? If you have any questions, please do not hesitate to leave any questions in the comments section. I will try to answer as soon as I can. Feel free to leave your comments too.